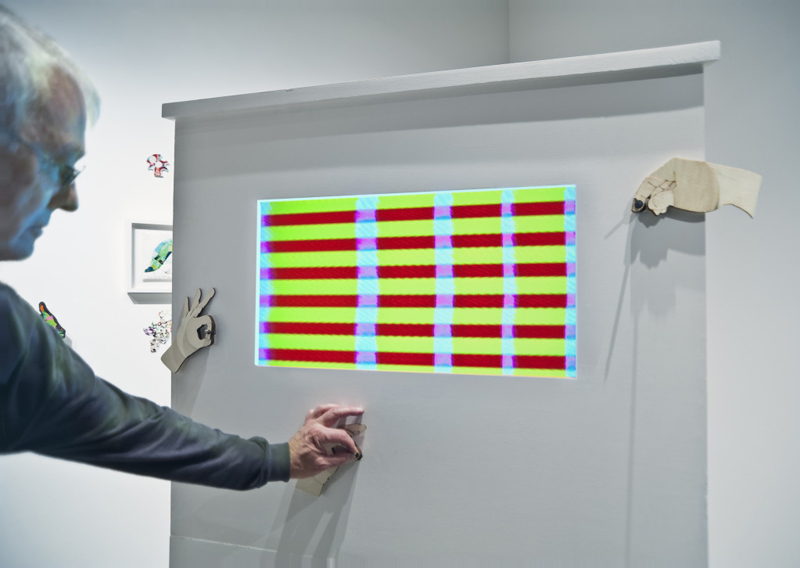 In this installation, a white box contains brightly colored electronic circuitry that constantly produces live video. Sensitive to visitors' body signals, the synthesizer creates colorful abstract imagery on the screen. 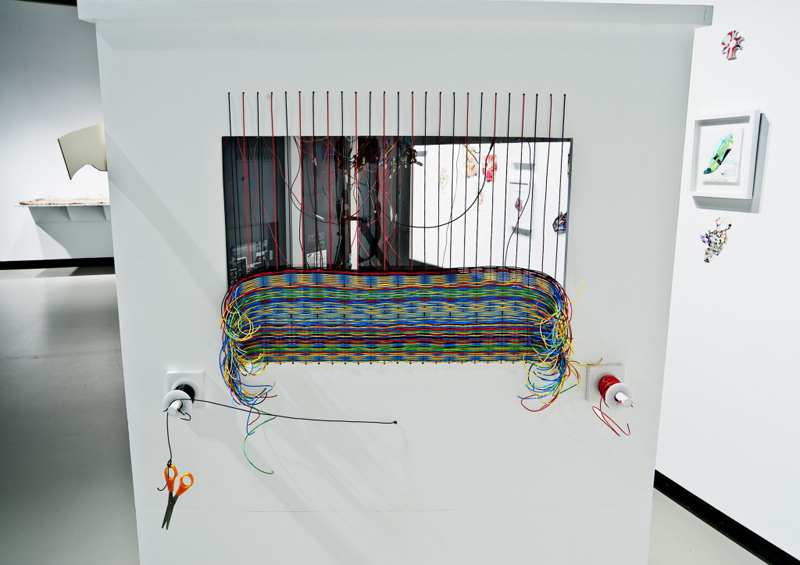 On the opposite side of the box visitors can weave wires on a loom, constructing a permanent physical record of their experience in the exhibition.